Before I post some great information in regards to sunlight, vitamin D and your health, I want to mention that my favorite grounding pads are on sale (as of August 12, 2016). When you buy 1, you get 3 free! 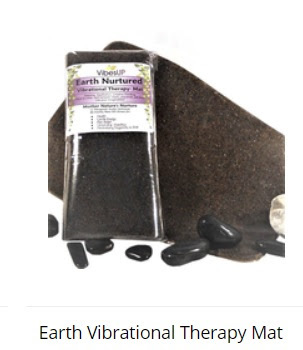 You can see what it looks like on the right, top of this page (I made the photo large so it is easier to see), you click the link to the website then click on "4 x 1 Earth Mat Special" found on the left for this amazing deal. Obesity, Heart Disease, and Chronic Fatigue? · Sulfur deficiency is common, and may be a contributing factor in obesity, heart disease, Alzheimer's and other chronic health conditions. · Sulfur, cholesterol, and vitamin D produced in your skin as a result of sun exposure, are all intricately connected and necessary for optimal health, particularly heart health. · When exposed to sunshine, your skin produces two types of sulfur: cholesterol sulfate, and vitamin D3 sulfate. Dr. Stephanie Seneff is a senior scientist at MIT and has been conducting research there for over three decades. However, she also has an undergraduate degree in biology from MIT, and a minor in food and nutrition. Sulfur is derived almost exclusively from dietary protein, such as fish and high-quality (organic and/or grass-fed/pastured) beef and poultry. Meat and fish are considered "complete" as they contain all the sulfur-containing amino acids you need to produce new protein.